DESCRIPTION – Berry Spray, 16 inch, burgundy. DESCRIPTION – Berry Spray, 16 inch, gold. DESCRIPTION - This Red mini apple spray has an overall length of 26 inches, a 10 inch stems and 18 mini apples and 28 buds. $2.19 ea. $1.533 ea. $1.314 ea. $1.095 ea. $0.986 ea. $0.931 ea. $0.876 ea. $0.821 ea. DESCRIPTION – Berry garland x 69 berries, 48 inches long, hunter green. DESCRIPTION – Berry Spray, 16 inch, purple. 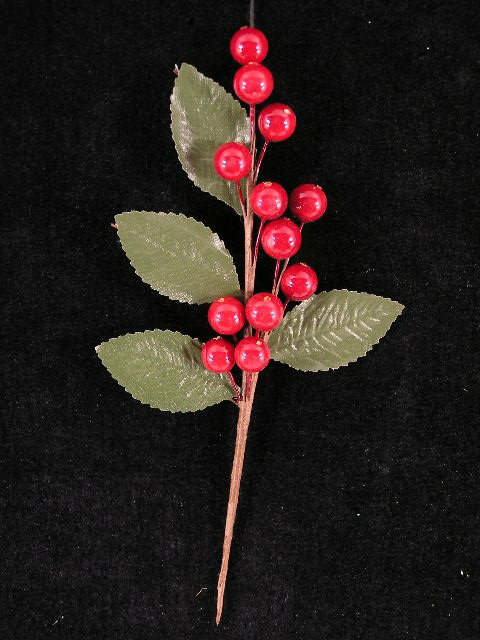 DESCRIPTION - This Red / Dark Red berry spray has an overall length of 21 inches, a 10 inch stems 25 berries and 7 leaves. DESCRIPTION – Red berry spray with 3 clusters. DESCRIPTION - This Red / Green mini apple spray has an overall length of 26 inches, a 10 inch stems and 18 mini apples and 28 buds.